The Petzl Croll is ideal for long rope ascents, passing intermediate anchors and for transitioning from ascending to descending. It should generally be used in conjunction with an lanyarded hand ascender (never ascend on a single point of contact with the rope). 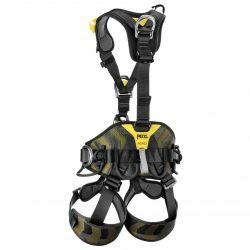 mounts easily on harnesses such as the CMC Helix. 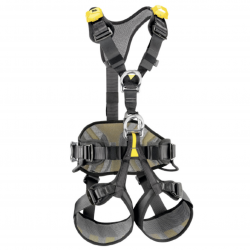 The Croll has also been integrated into Petzl’s signature work harness, the Petzl AVAO. To find out more, visit the Petzl AVAO Bod Croll Fast page. Please note that adequate training and judgment are needed to reduce the risks inherent in the use of this equipment. It is the responsibility of the purchaser to ensure that the user is adequately and competently trained in the use of this product. We strongly advise that you do not use the Croll without first undertaking appropriate training.